As I mentioned yesterday, I had some leftover ganache in the fridge. Since I was trying to empty it out, I decided to make some cupcakes for Hubby too. 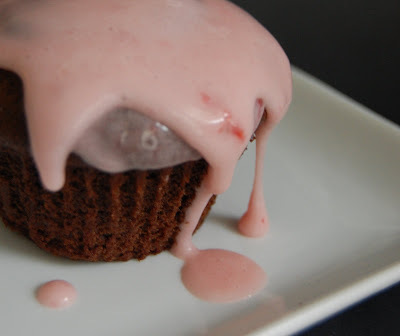 These are just a variation on my dairy-free ice cream cupcakes. 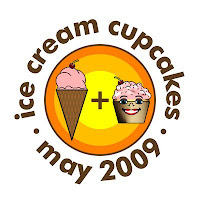 I used the same cupcakes, but used regular ice cream and then topped with ganache. Once the ganache set, I drizzled the strawberry cream cheese glaze over the top. And just for fun, I did that again. Hubby loved these little treats. Yum! I love coconut 🙂 this recipe is fantastic! Do these need to be stored in the fridge?? They’re probably fine outside of the fridge. I tend to like my bars cold, so I put everything in the fridge.